Here is the collection of all the printables and activities for Bugs and Insects from 3 Dinosaurs and a few others. As more are added, the links will be added to this list! There are over 30+ activities and link to other activities as well. You are going to find printables, craft & activities, books and more. A wide collection of activities that work from PreK until some activities for older kids as well. We have done a few activities over the years. I have divided them up into the different groups to help you find what you are looking for. They are printables, crafts & activities, books, and trip reviews. There are so many great bug and insect printables for kids. 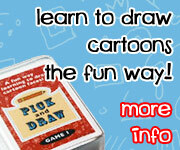 You are going to find themed packs, ABCs, learning to read, numbers, math and more. A great many different printables have been added to the site over the years. I’m always adding more each year. As they are added to the site they will be added here. Bug Pack has over 70+ pages of fun learning activities. You are going to find both bugs and insects in the pack. It is great form ages 2 to 7. Spring Pack has a few different bug themes in it. You will find some hands on and worksheets that have bugs. Spring Pack Update has 40 pages and still has some bug and insect themes in it. Bat & Spider Packhas a lot of single page activities around spiders that can be used with any bug activities. There are 70 pages and great for ages 2 to 8. Itsy Bitsy Spider Pack has 71 pages of activities and is great for ages 3 to 7. You will find lots of the same activities you find in other packs. Life Cycle of a Butterfly Pack has over 70 pages with print and cursive with loads of hands on activities. Bug Ten Frame Activities: No-Prep & Hands-On is an easy to use ten frame set for numbers 1 to 20. It also includes easy reader books. Bug Number Find is a great work to work on number digit and number words. Ladybug Themed Number Color and Trace is a no-prep number coloring pages that works on 0 to 20 with two page options. Bug & Insect Themed Number Color and Trace is a no-prep number coloring pages with loads of bugs and insects that works on 0 to 20 with two page options. Ladybug Number Counting Book & Chart is a fun way to work on numbers 0 to 10. Bugs and insects are fun to explore and there are so many different ones to look at. We have done a few activities over the years. We love butterflies and always try and do something with them. You are going to find sensory bins, painting, crafts, and hands on activities that all center around bugs and insects. Bug Sensory Bin is a fun hands on way to explore bug. Even those kids that might not like bug can see them in a no scary way. Sensory Play With Water Bead Bug Sensory Bin is loads of fun for exploring for bugs. From Caterpillar to Butterfly – Painting Butterflies is a fun butterfly painting project. This is easy to do and great for almost any age! Butterfly Silhouette Painting is a fun craft to make Monarch Butterflies flying through the air. Watercolor Butterfly & Flower Painting is a fun painting with cookie cutters. Watercolor Bugs With Stencils is a great way to use stencils with kids in a different way. Easy To Make Watercolor Butterfly Wreaths is a fun craft to make with kids. Stamping Words on Spider Webs is a fun bug themed activity to do. Searching for Bugs & Insects is a post about getting outside and looking for bugs. Hands On Learning: Butterfly Life Cycle is a great way to read a book and do hands-on learning. This is a collection of some of our favorite books that we have been reading or posting about bugs. It is always fun to find new things. There are so many different bug books that kids can read. Reading Challenge Week 2: Bug Books is a collection of some of our favorite books. We are always reading and looking for books. Book Finds March 2014 has a new bug books that we found and just loved. I encourage you to check it out. The Butterfly Place & Butterfly Books is a fun post about a local butterfly place you can visit plus all of our favorite butterfly books! The Butterfly Place Review – This is a great review of all the things you can see and experience at the Butterfly Place. We loved the trip. Check out all the fun Bug and Insect Activities on my pinterest Board! This entry was posted in round up and tagged books, bugs, butterflies, insects, printables, round up. Bookmark the permalink. Thanks so much for including me on your list and sharing all these great resources with us! Thanks so much for including me in your list, Cassie! What a great group of resources! So many wonderful things in one place! Thanks for sharing at After School!